This course is designed for individuals with prior experience guiding rafts in class II/III whitewater. It is preferable that you have had some experience paddling (but not necessarily guiding) class 4/5 rivers but this is negotiable. If you do not have any prior whitewater experience but you are interested in learning to guide, check out our entry level guide school. Call River Runners on 530-622-5110, e-mail adventures@riverrunnersusa.com or sign up online below. John Kosakowsky started rafting 19 years ago and never looked back. Being on the river became his career, passion and lifestyle. After his first couple of seasons on the South Fork of the American River, John ventured off to Costa Rica to become a guide on the class IV Pacuare River, only to find out that he knew a lot less than he thought he did! It was this experience that set him on a determined course to approach whitewater rafting as an art form that requires consistent and focused practice. Since then John has rafted privately and commercially around the US and the world, from class II backyard creeks to epic class V runs. John has a wealth of knowledge and he loves to share it. He has taught many students who have gone on to become successful and competent river guides and boaters at large. He is also a certified ACA swiftwater rescue instructor. 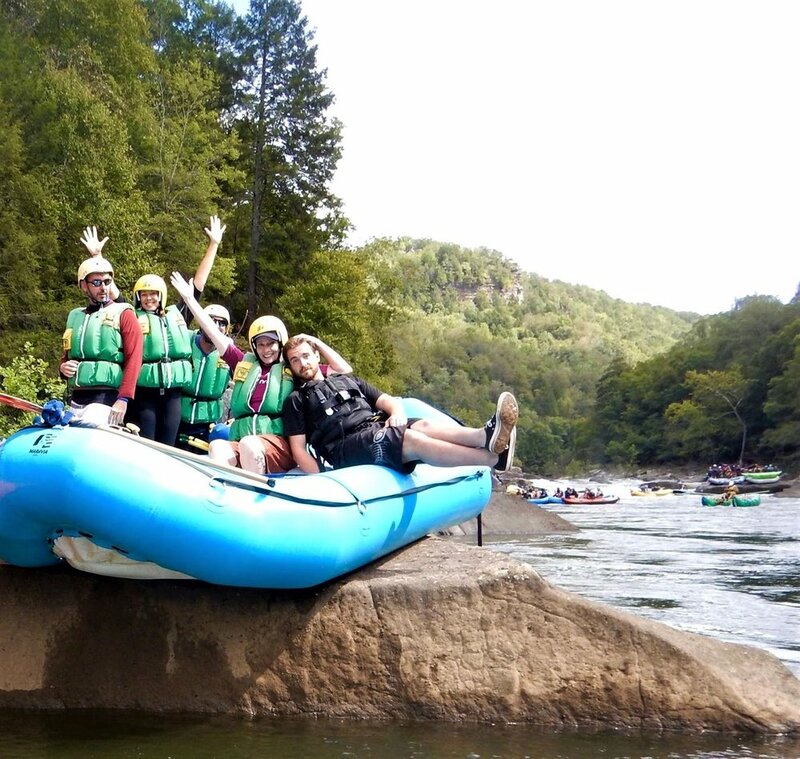 "River Runners' guide schools are among the most successful whitewater programs I have ever participated in. John and Sarah provide a structured program with clear goals and excellent resources are provided for their students. 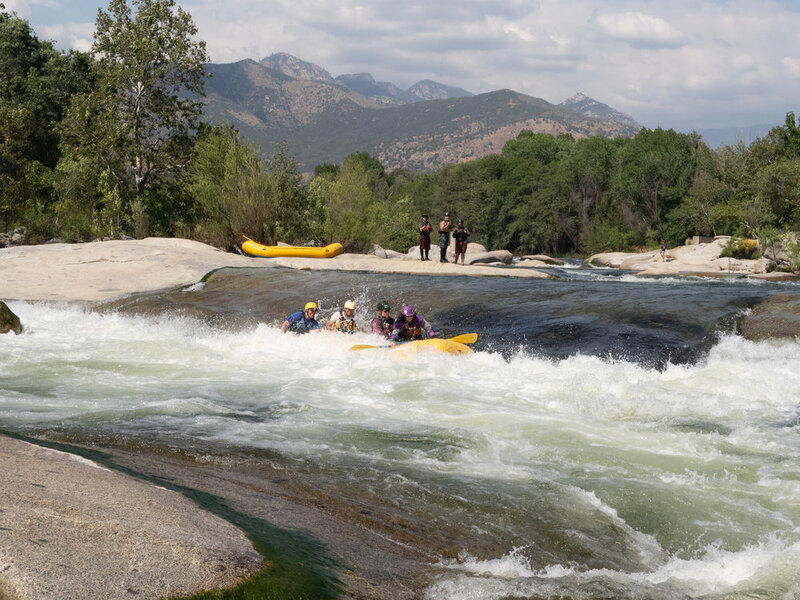 Where River Runners stand apart from other schools is that they cultivate an experience that feels like we are all, both instructors and students, out on a play trip. I come away from every class feeling lucky to have been involved." Daniel Jenkins started guiding 18 years ago now but his history with with the river goes further back than that. At a young age he learned to swim in the South Fork of the American River. After spending many years exploring the side creeks and swimming the river, he finally got into a raft. Since then he has rafted the South Fork American River from the headwaters to where the river is lost under Folsom Lake. 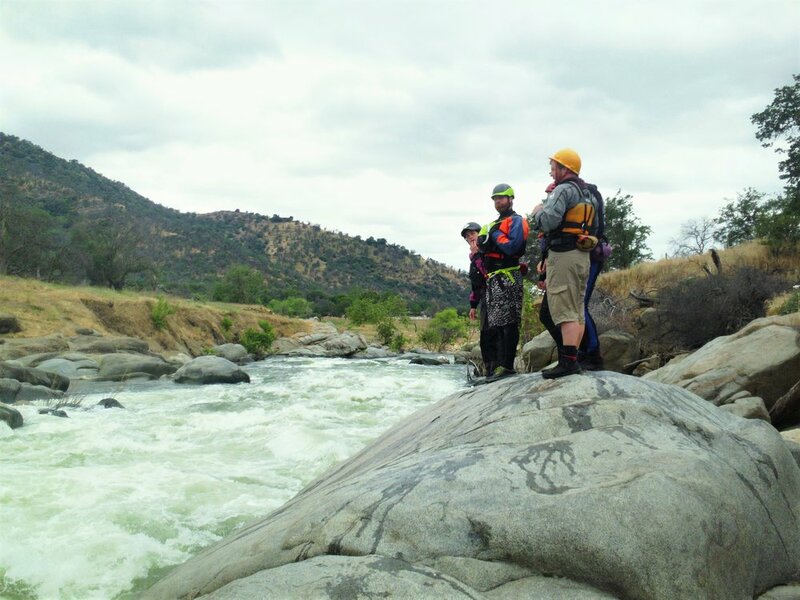 Daniel has also worked many seasons on the Kaweah River as a commercial guide and has rafted many sections of that river as well. He has also worked all over the country and the world from the class I Dart River in New Zealand to working this year on the class V Cherry Creek in California. Daniel plays as hard as he works, and has R-1’nd things just because everyone else was too scared to go with him. Needless to say, he has learned a lot and he is enthusiastic about sharing his knowledge with others. What will be covered: This workshop will cover the more advanced elements of whitewater navigation. Instruction will be primarily in the medium of paddle guiding a raft. Students will be encouraged to develop the ability to read chaotic river currents and a dynamic approach to navigation.